Jennifer Sampou joins Pat Sloan on Monday! 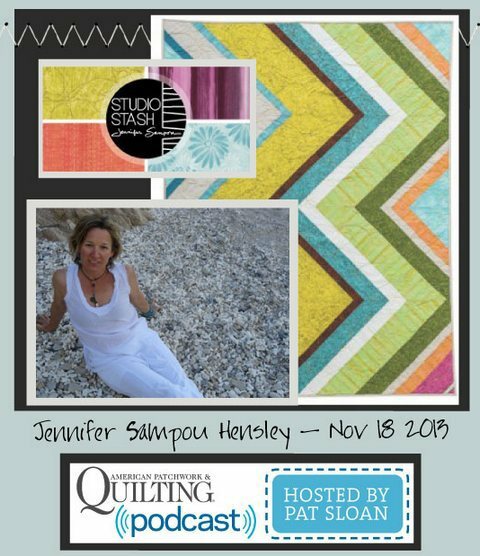 The lovely and talented Jennifer Sampou will join American Patchwork & Quilting Radio host Pat Sloan on Monday, November 18 at 4pm EST. Listen in as the two designers and quilters talk about travels, design inspirations and life as a creative professional. Jennifer's newest collections, Daisy Love Flannel and Studio Stash are available now through independent fabric retailers. To listen in, click here at 4pm EST (1pm PST) on Monday, November 18. Studio Visit with Jennifer Sampou + a Giveaway! So much of what we do these days is done over distance, with emails and attached files and online images, that an in-house visit with a designer is a rare treat. The RK team was lucky enough to play host to the legendary Jennifer Sampou this week and we had to nab the opportunity to get a picture of her with her newest line, Studio Stash. 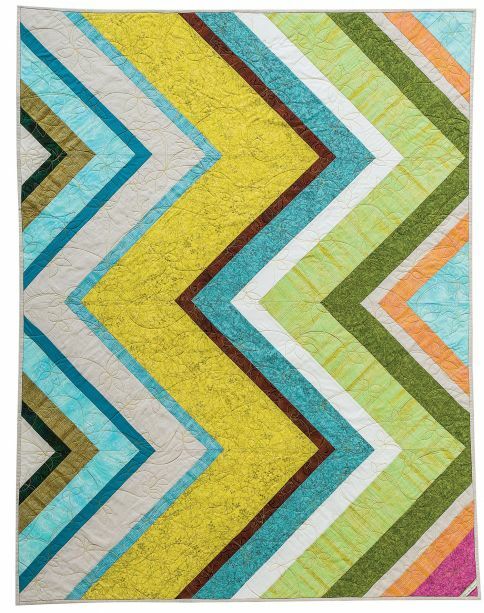 Designed–as always–with quilters in mind, Jennifer's collection features a range of colors and textures suitable for modern and traditional designs. With four beautiful color stories that complement each other and her previous collections, the fabrics are crying out to be made into beautiful quilts. Today we're releasing a new pattern, designed by Jennifer herself, using the new Studio Stash collection, Kona Cottons and Essex Linen and brought together in an enormous zig zag. Measuring 51" x 74," the quilt is a fabulous size for snuggling under when the weather turns cooler this fall. Get started now and download the PDF pattern from our website. Shop owners can download kitting info, as well. Fabrics are in stores now. Win your own Studio Stash! Sign up for Jennifer's newsletter (scroll to the bottom of her webpage) and you'll be entered to win one of four custom fat quarter bundles of Studio Stash. Be sure to submit your name and email by August 31, 2013. A winner will be drawn on and announced on September 1, 2013.